As the new year came, it brought a lot of happiness, courage and more dreams to come true. Where everything is new on the new year,then why not your home, kitchen and bathroom get a new look? No more small house whose bathroom is even smaller? Now, you must be thinking of wall tiles that can make your bathroom look bigger. Wait ! wait a moment ! Spend less , spend wise ! Otherwise the end result will toss up. 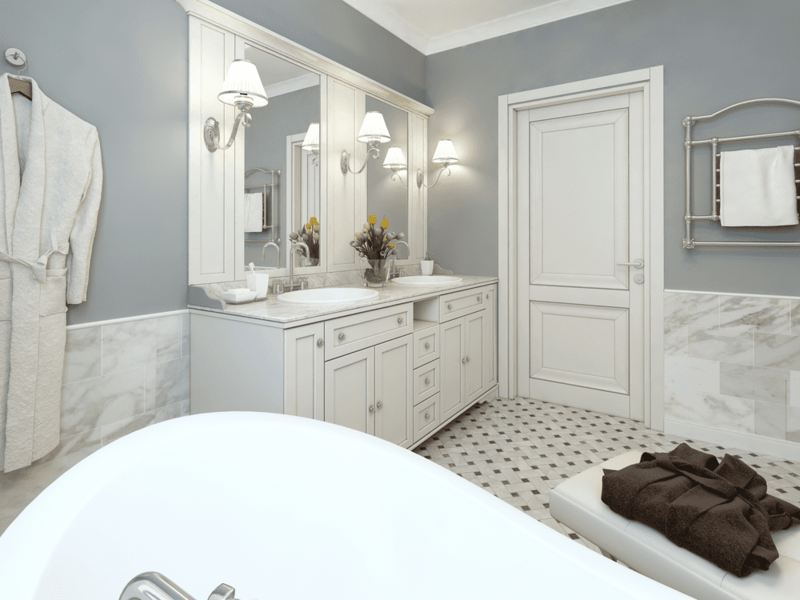 If you are running against the clock, you can go for best bathroom paint color ideas to apply quality paint. 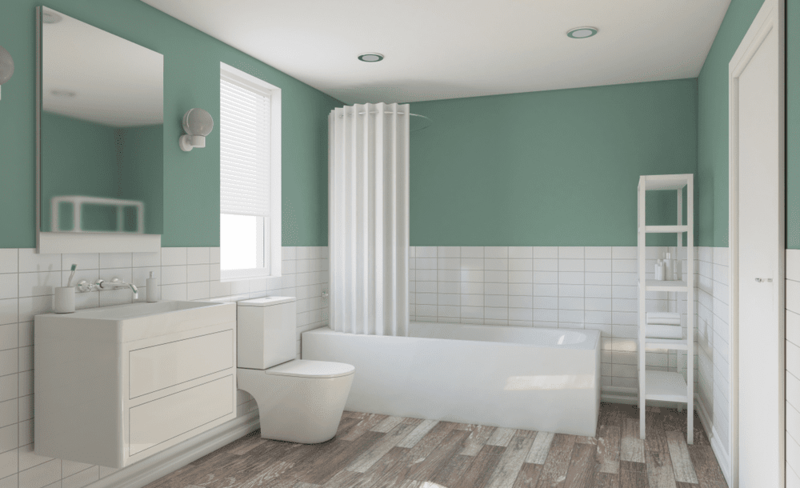 Let’s suggest you some of the ways to make your small bathroom look more spacious and mammoth with paint. Yes ! you have heard right ! with a bit of visual magic, color change and lighting, you can easily transform the small cozy place into large decorum. 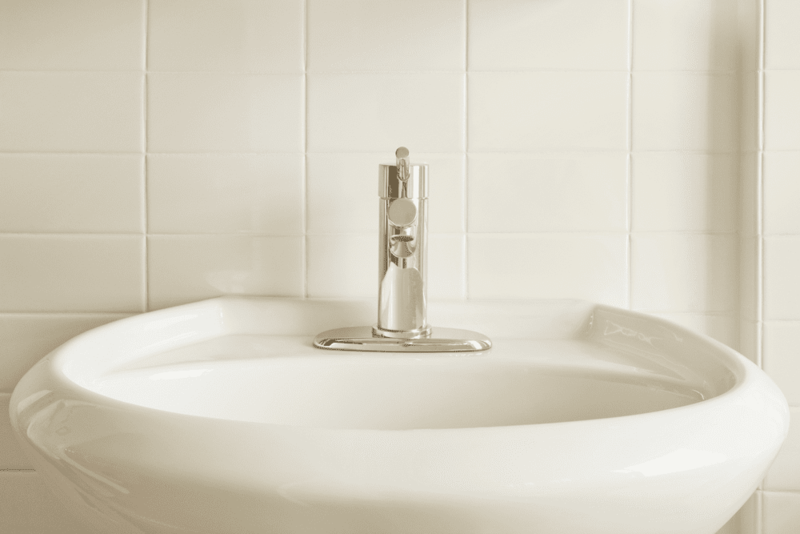 It is one of the easiest ways to make your bathroom look airy. Pale and soft color schemes are always pleasure to watch. Use of white paint helps to create feeling of serenity and an illusion of more space with strategic interior color. You may use white shiny tiles, white paint, white vanity, white basin, white countertop, white cabinets and so on. 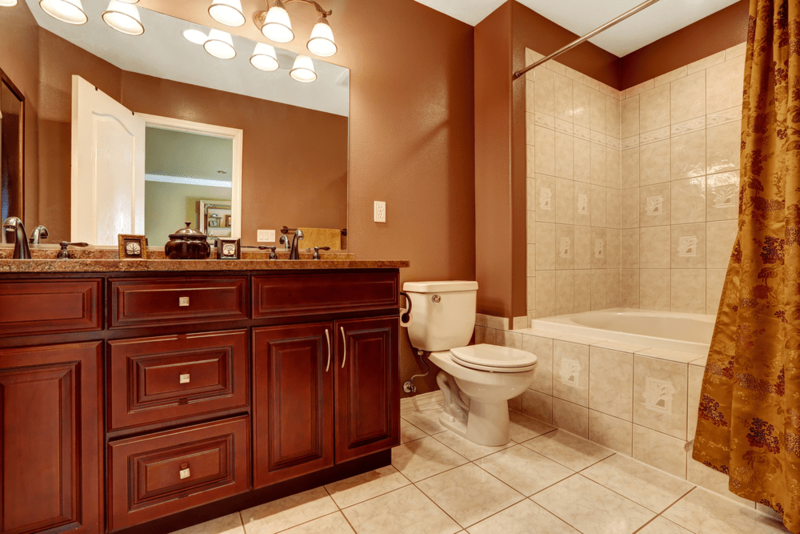 This color not only gives a grand look to your bathroom but also makes it look royal. Therefore, it is better to use shades of recessive colors or natural tones instead of bright, bold or warm colors (oranges, purple, red, yellow). However, for accessories and towels etc. you can use the bright colors. Good colors for small bathrooms are not hard to decide if given in the hands of professionals who provide interior painting service Cape Cod. 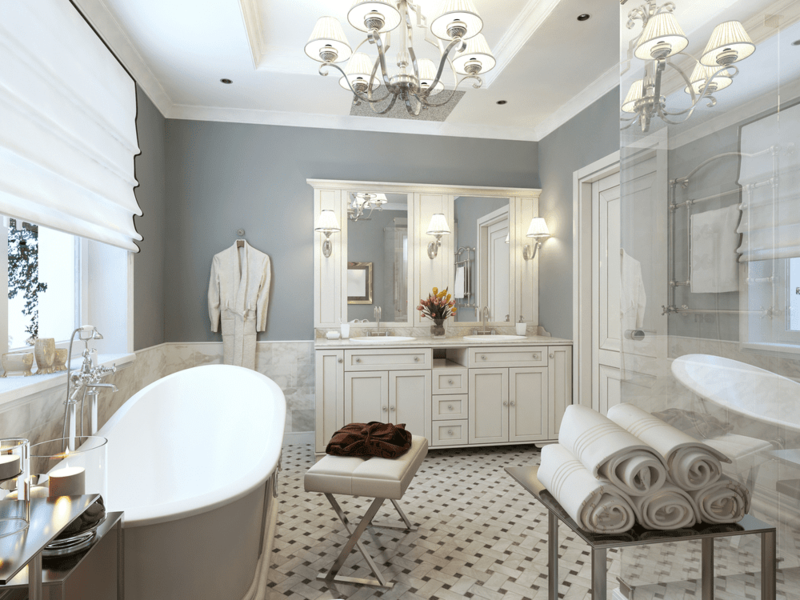 They always have great ideas to create a uniformity and large feel in your bathroom. For more information, bathroom color schemes for small bathrooms are high contrast color schemes that tend to divide spaces. Therefore, avoid chaos in small bathrooms, otherwise it will look smaller. Another helpful tip in trying to keep the bathroom appearance uniform is to paint the walls and ceilings with the same color. Or if not then use low contrast colors that increase the aesthetic appeal of the bathroom and compliment each other. If your bathroom is small then you really need to paint white and do extra lightening to open up the look of your bathroom. Install the lighting in ceiling, focused area of basin, right above the standing in front of mirror. For that you can opt skylights, solatubes, windows, countertop lamps option and wall sconces. White vanity cabinets add value to your bathroom. Where it provides a storage for bathroom accessories, it also gives bathroom a complete finish. However, we would suggest you that replacing the vanity with a pedestal or wall-mounted sink. It is quite budget-friendly way to make your bathroom look beautiful within a small confined space. This way your bath will feel like more open. Use lots of natural light to make you small space look larger. Clear glass showers though not allow for much privacy but still are great way to open up the bathroom space. Placement of mirrors on the right place can double the lighting of bathroom. If your bathroom is tunnel-shaped, try to emphasize on length even more. Replace the shower curtain with a glass panel or door. Installation of floating vanity is great way to increase the bathroom space. 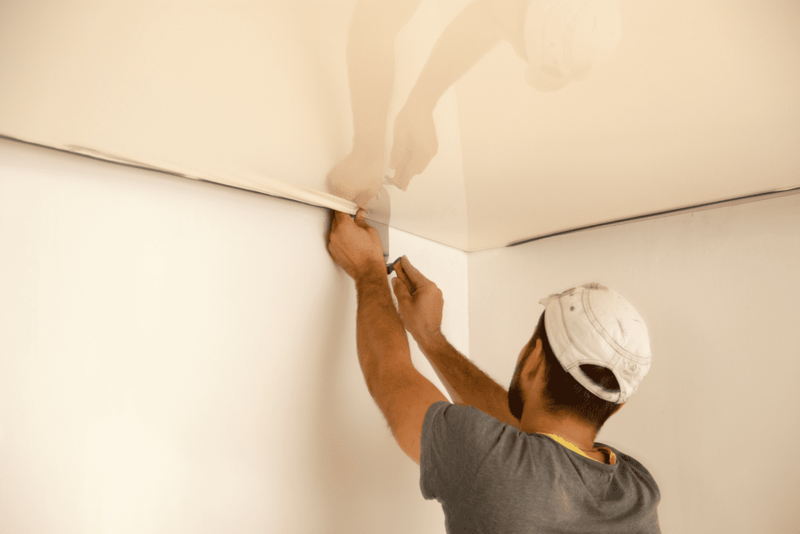 If you are considering to update your bathroom color, then don’t hesitate to get house painting on Cape Cod service from professional local painters.